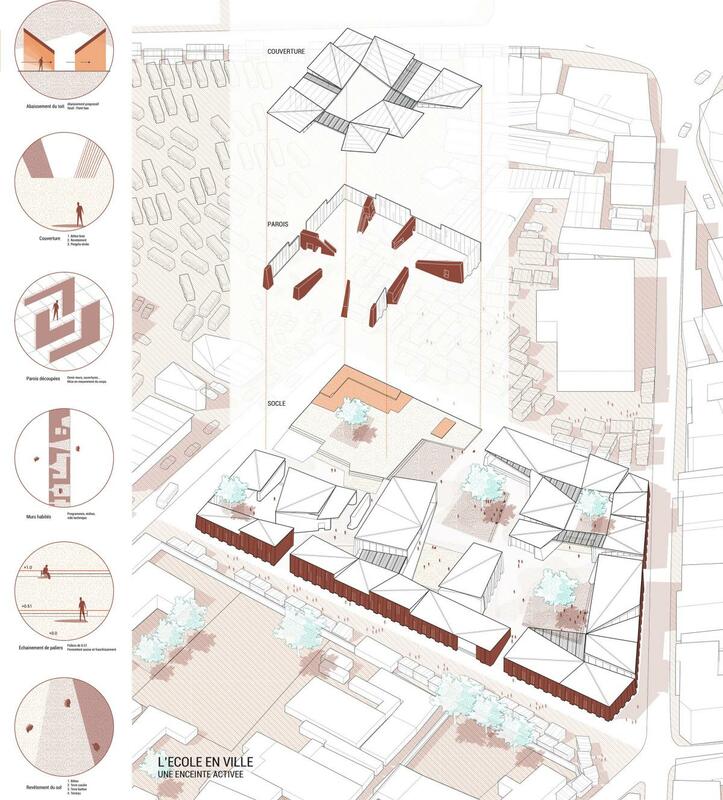 Marie d’Oncieu, a recent graduate of the “ENSA Paris Malaquais” Architecture School shared with us her masters thesis on the subject of creative use of space in urban African cities. 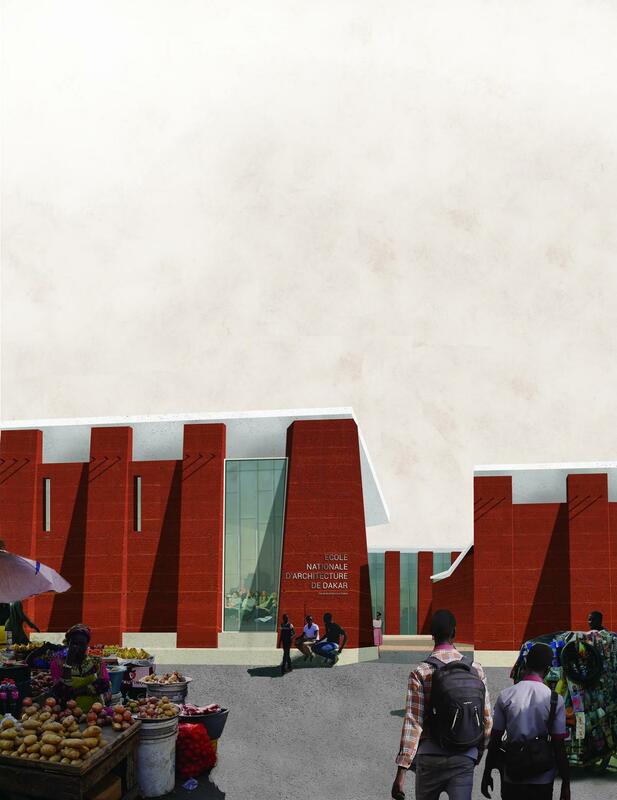 Having a personal attachment to Senegal, her observations and theoretical studies materialised into a project for a school of architecture in Dakar. 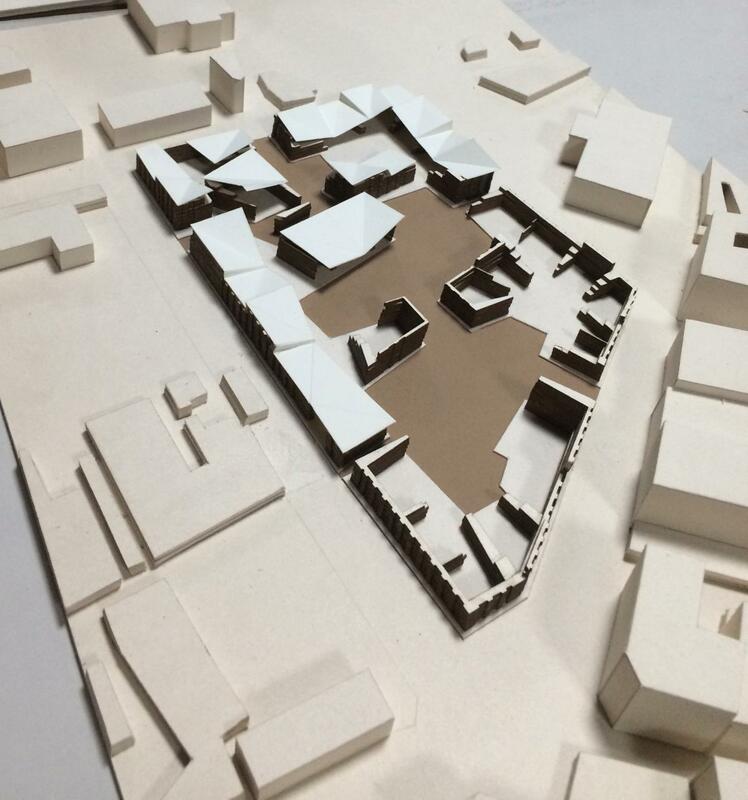 Her project which was named “Depth of Shared Space”, explores this idea as a new vernacular architecture that combines locally-sourced materials with modern technology and contemporary design. 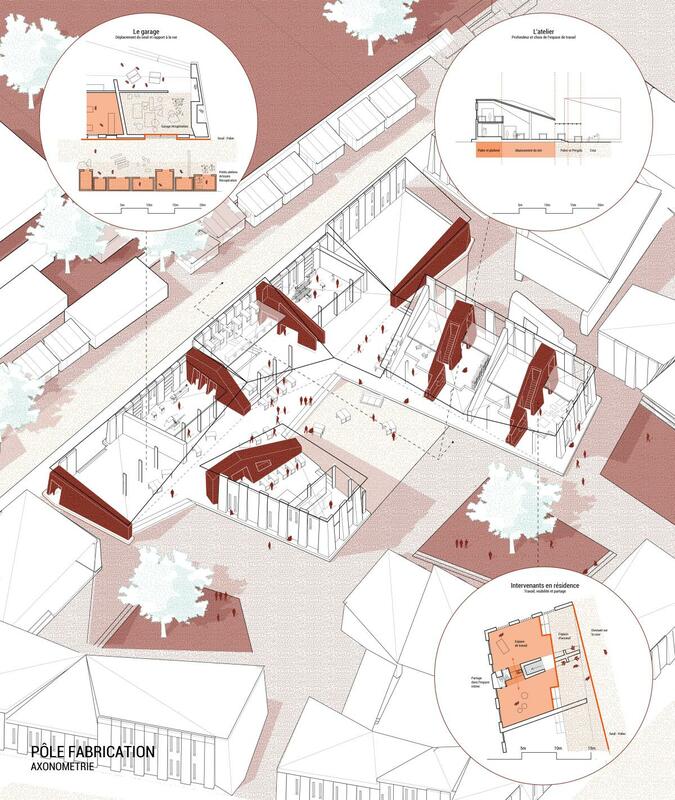 In an informal and dynamic context, this project rejects the private/public dichotomy and instead embraces the creative appropriation of space characteristic of African cities. 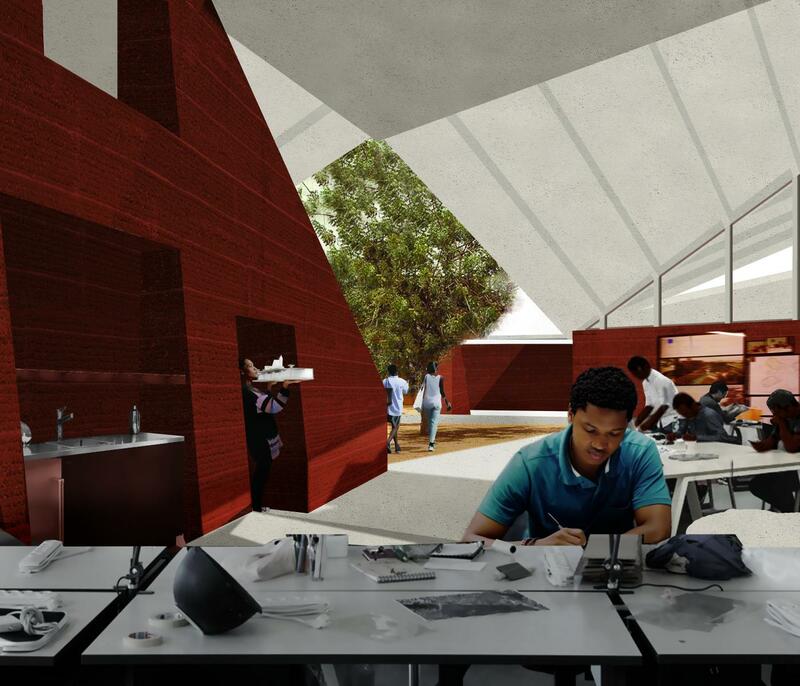 Through the design of an architecture school in Dakar, the project focuses on the materialization of thresholds in Senegalese culture. 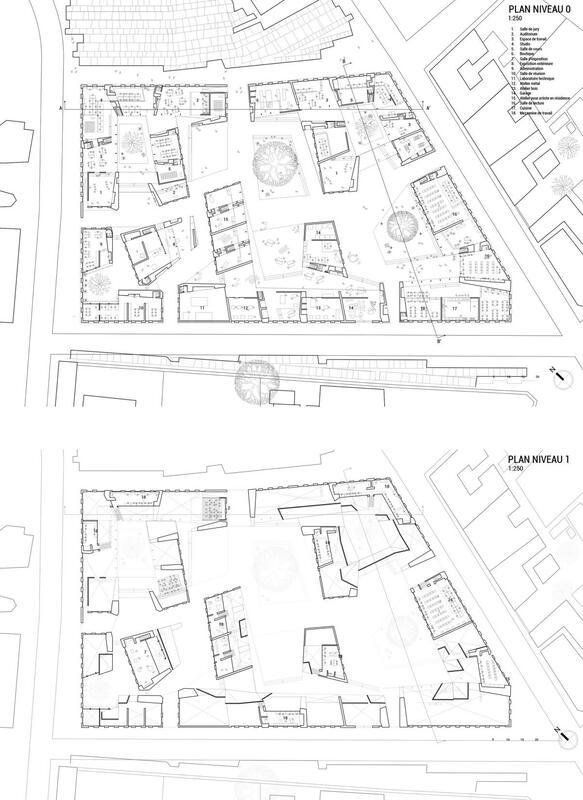 Through their subtle arrangement the project articulates 7 “levels of depth” and creates a great diversity of spaces to learn, to create, to build, to meet… The school expands the limit between city and institution, allowing inter-penetration and exchanges. 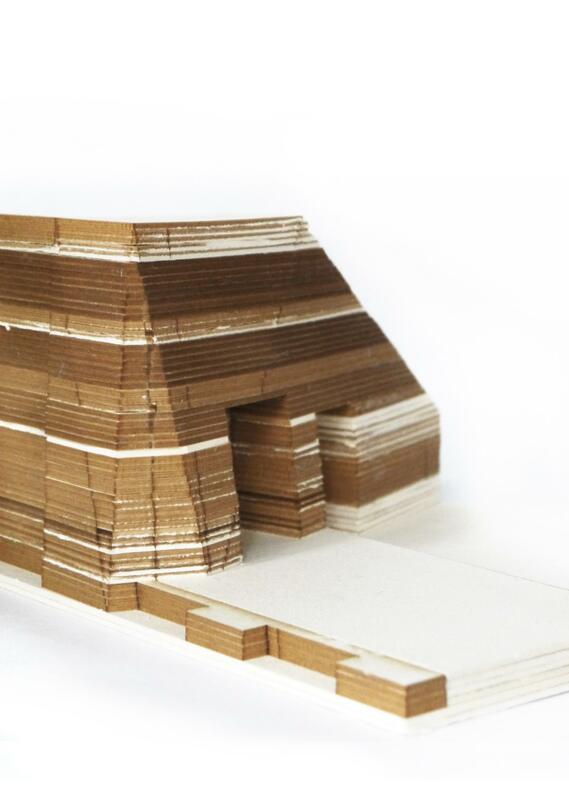 In its materiality, the project is a manifesto for new vernacular architecture. 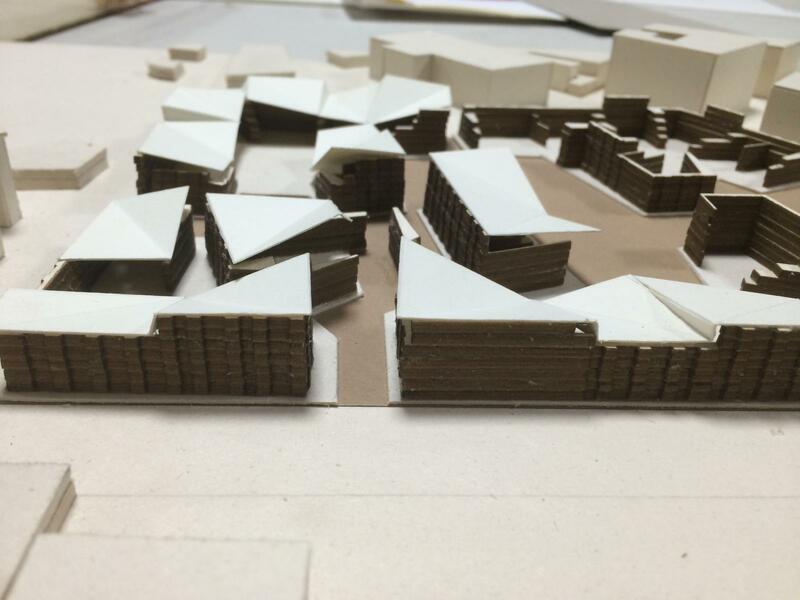 It uses locally-sourced materials with modern technology, encouraging proximity with the earth. 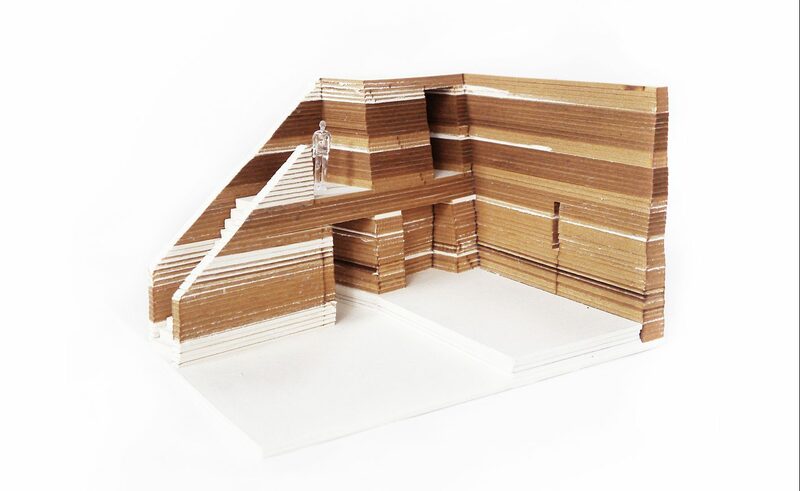 It also proposes an architecture of irregularity , fighting against the systemisation of production which leaves no space for the builder and the craftsman. Plans of the school A zoom axonometric view of the fabrication wing of the school showing several examples of the progressive depth created by the articulation of thresholds Axonometric view of the project showing the different types of thresholds implemented throughout the school (on the ground, in the combination of the walls and in the roof) 1:50 Model of an “inhabited wall” 1:50 Model of an “inhabited wall” 1:500 Model of the school 1:500 Model of the school Visual of the entrance into the school A promenade through the school reveals the subtle thresholds, changes in ground material, height, luminosity … and the rich spaces created by the combination. Inside the school, a space of “depth” 2-3. 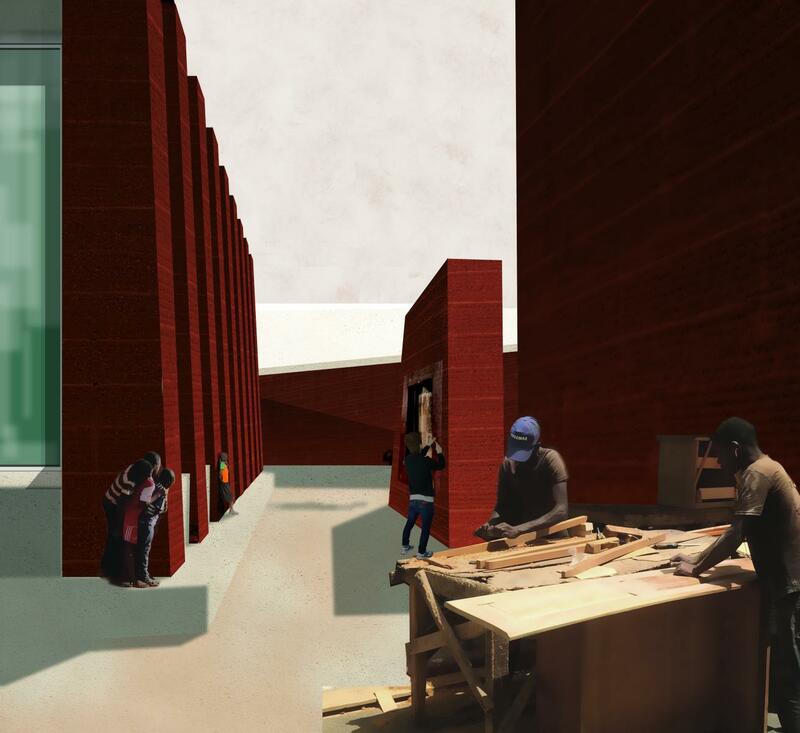 Turning a corner, space is appropriated by craftsmen, students or children. In one of the “deepest” areas of the school, students work and inhabit the thick earth walls.